This kit is designed to work with vehicles, which have CANBUS systems and it has been specially designed for this purpose therefore it will not damage any of your vehicles electronic systems. Our digital ballasts have been exclusively manufactured with in built components and microprocessors, which allow 100% compatibility with any vehicle giving you the best looking OEM Xenon headlights at an affordable price without any error and warning messages. The simplest way to identify if your vehicle has a CANBUS system is to remove any external bulb and if a warning light displays on your dash then this is the correct kit for you. This will work with 99% of vehicles. 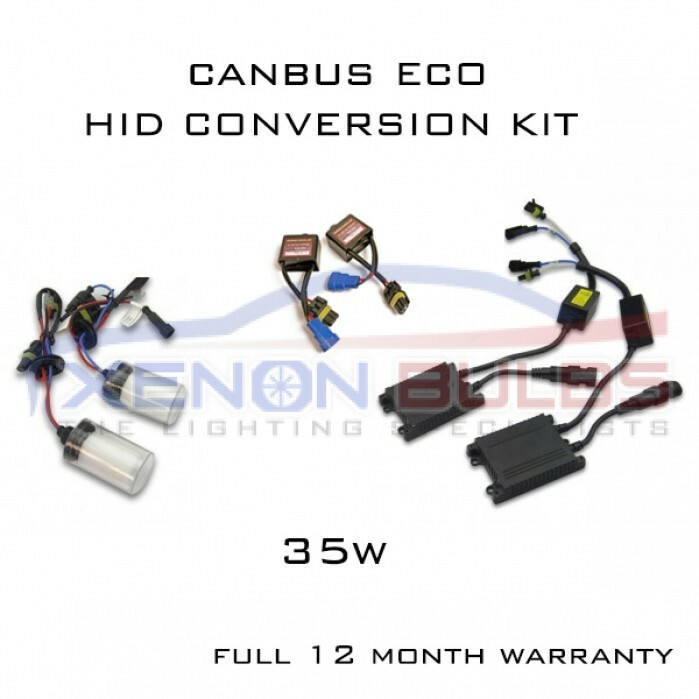 Our SLIMLINE CANBUS ECO 35W kit is designed to work with vehicles, which have CANBUS systems and it has been specially designed for this purpose therefore it will not damage any of your vehicles electronic systems. It comes with extra canbus adapters which prevent your car giving any bulb error warnings or flickering of bulbs. The simplest way to identify if your vehicle has a CANBUS system is to remove any external bulb and if a warning light displays on your dash then this is the correct kit for you. Our HID Xenon Conversion kits are exclusive to Xenon Bulbs. The kit is specifically designed for cars, motorbikes and vans which use H7 headlight bulbs. Manufactured to the highest quality our Slim HID kit will produce up to 300% more light than any standard headlight bulb providing you with excellent night time driving. The improvement in light output will help illuminate potential hazards and reduce the risk of accidents when travelling at night. Our kit cannot be compared to any other HID kit on the market today! Due to the high quality components used in both the ballasts and the bulbs and our confidence in their ability we can offer you an excellent 1 year warranty. Our 35w Slim Ballasts are all digital, this significantly improves reliability, lasting much longer and saving you money! The ballast also reduces the problems associated with older design non-digital type ballasts. The improvements in design and reliability have set these high quality ballasts apart from other cheap HID kit alternatives. 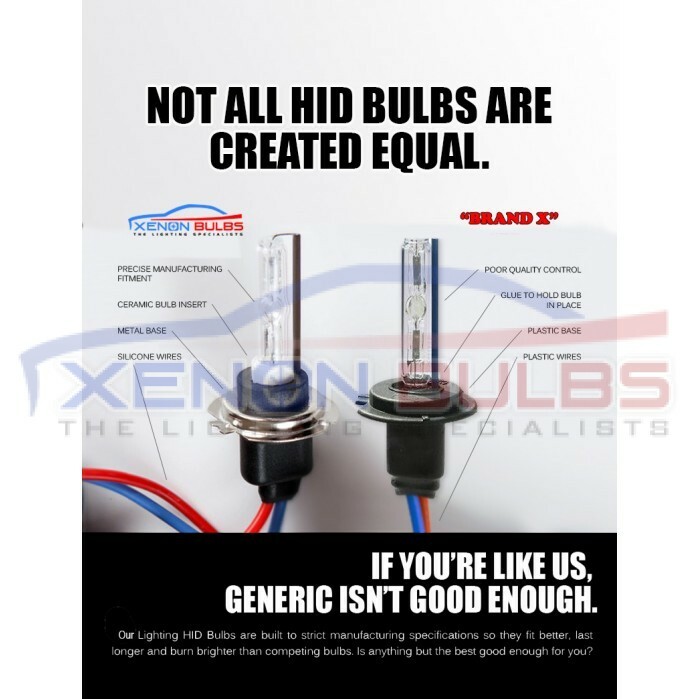 The high quality H7 Bulbs are specifically made to produce a perfect beam pattern and focus just like the halogens. The bulbs have also been UV cut to prevent damage to your plastic lenses. Our 35w SLIM HID kit is complete with our own written instruction manual, 3m sticky pads and cable ties.